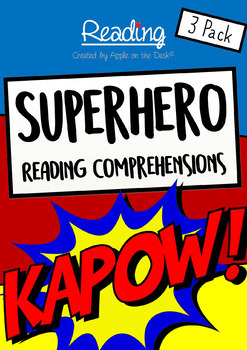 Three reading comprehensions based on some of DC Comics' most successful and popular superheroes. 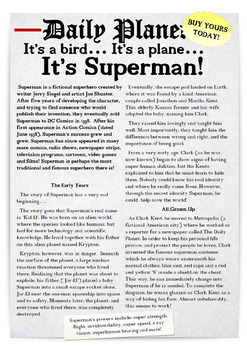 These worksheets encourage a love of reading by focusing on something many students already enjoy. 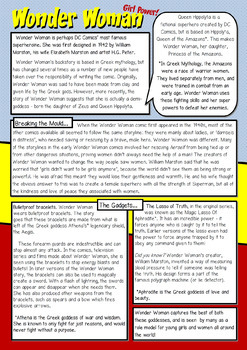 This activity pack includes texts and questions on Superman, Wonder Woman and Batman. 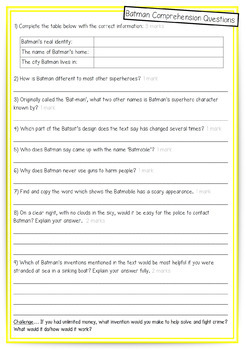 Questions include both retrieval and more challenging inference skills. Check out the preview for examples! No prep - just print! This pack is ready to print and use, and comes complete with a full answer sheet and possible extension activities.